Hetman Tuning Slide grease is for those who prefer a slide lubricant of grease consistency. 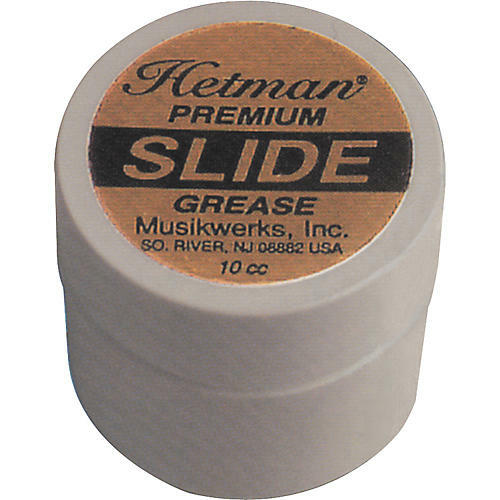 Hetman slide grease keeps slides airtight and moving smoothly. All Hetman Musical Instrument Lubricants offer superior lubricating qualities, are longer-lasting than other lubricants, and are completely compatible with conventional petroleum-based lubricants, thereby avoiding potential gumming problems. The viscosity of each Hetman music instrument lubricant is carefully formulated for its specific purpose and assures both fast, positive action and vital protection against wear and corrosion.